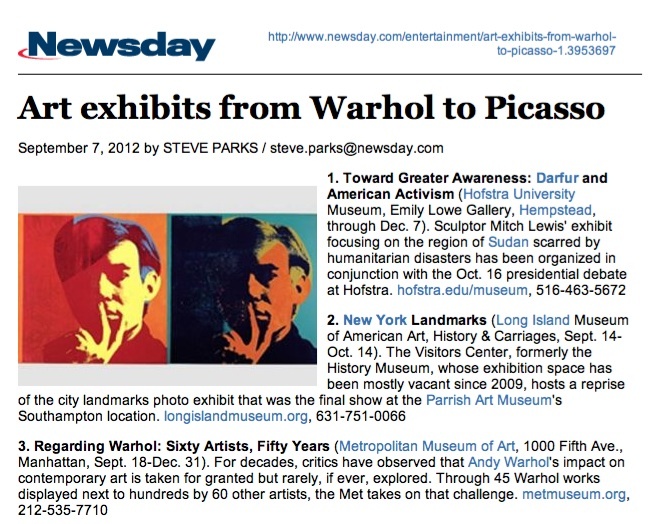 "... His work is striking and emotional, the attenuated figures inspired by his determination to bring the power of art to bear against the horrors of genocide. He is a 2010 recipient of a Puffin Foundation Grant for his Darfur sculpture as well as being named a 'Darfur Hero' by the Save Darfur Coalition. 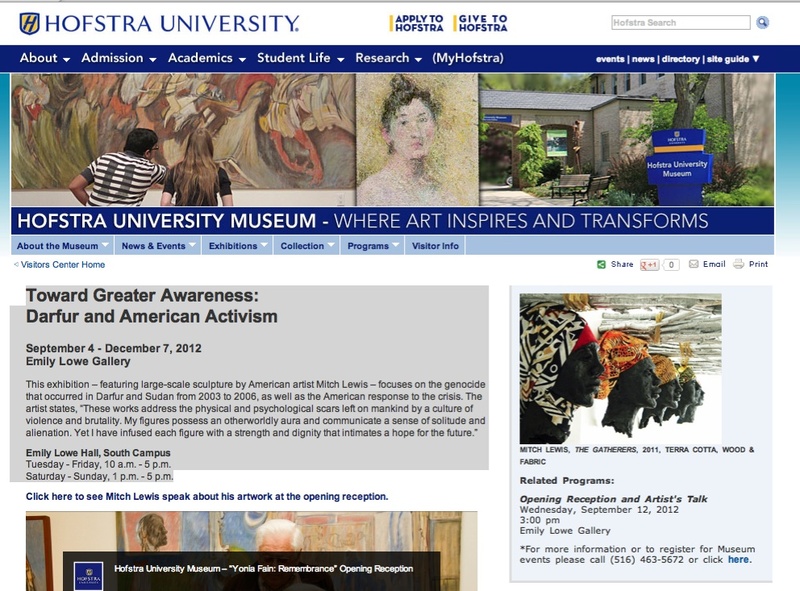 ..."
HEMPSTEAD — Sculptor Mitch Lewis is the artist behind the exhibit "Toward Greater Awareness: Darfur and American Activism" at the Hofstra University Museum. Lewis says he is aiming to raise awareness about genocide happening in Africa and around the world. Lewis explains that when he was researching Africa, he was surprised to learn about the genocide in Darfur. He says he also realized that a lack of media coverage was allowing it to happen. Artist Mitch Lewis gives a gallery talk in which he relates how he came to create art that responds to the worldwide problem of genocide. 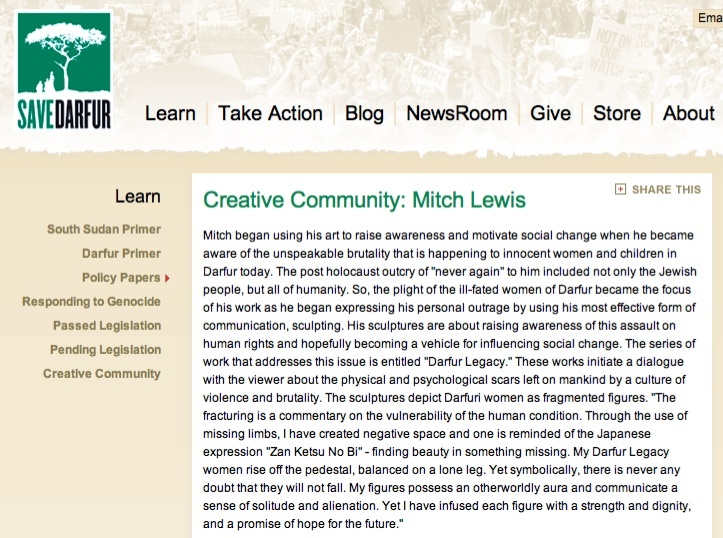 Mitch began using his art to raise awareness and motivate social change when he became aware of the unspeakable brutality that is happening to innocent women and children in Darfur today. 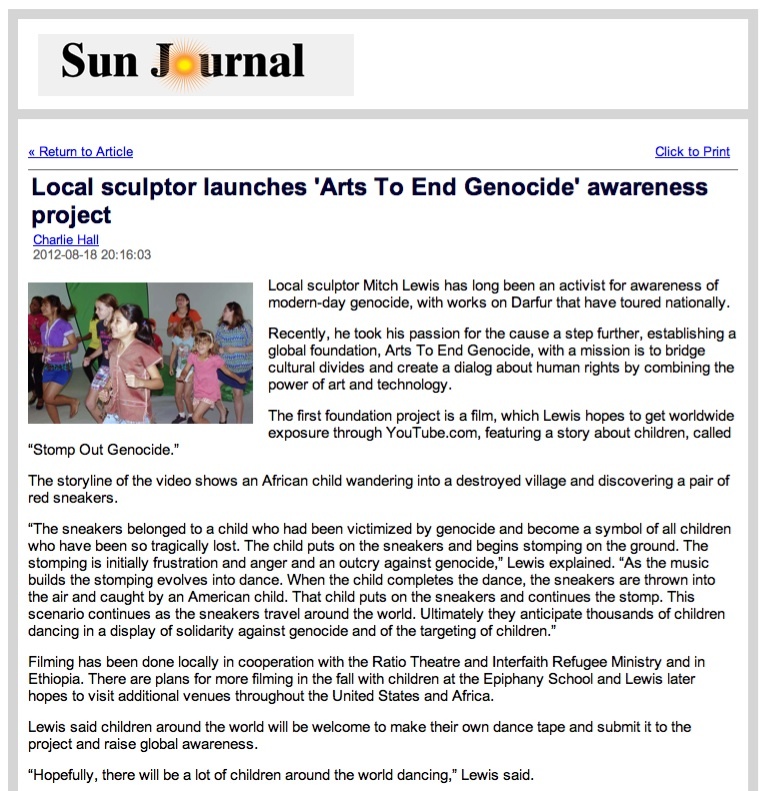 The Bank of the Arts features the exhibition of sculpture "Toward Greater Awareness" by Mitch Lewis addressing the genocide in Darfur. 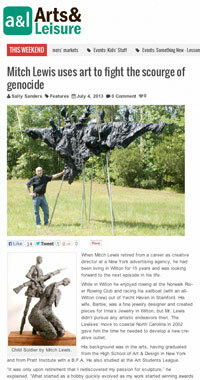 Each of the sculptures depicts a different human figure. 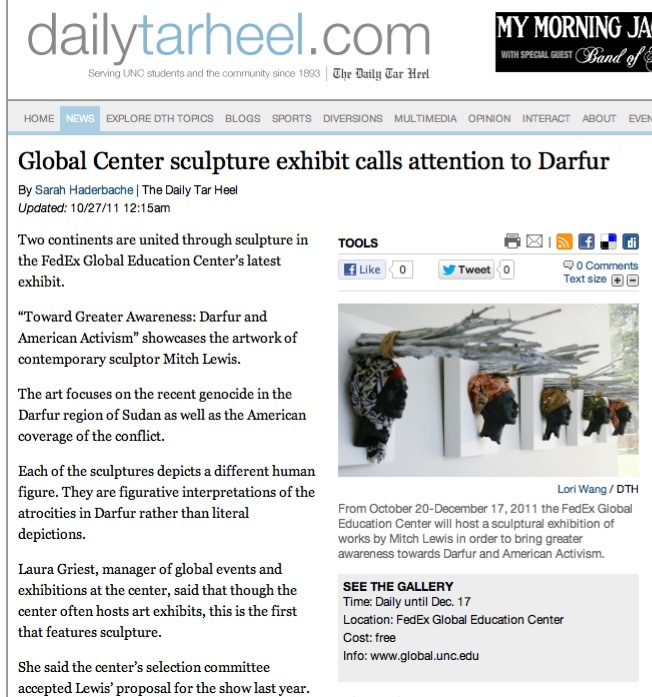 They are figurative interpretations of the atrocities in Darfur rather than literal depictions. Laura Griest, manager of global events and exhibitions at the center, said that though the center often hosts art exhibits, this is the first that features sculpture.